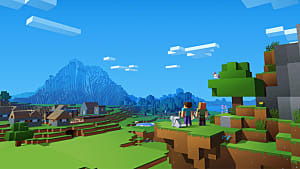 According to an IGN report, Mojang's behemoth title open world, sandbox title, Minecraft, has an astonishing 55 million monthly players as of February of this year. 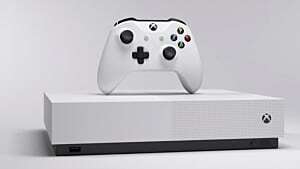 With players mining and crafting on everything from PCs to consoles and phones, the game is everywhere and played by people of all ages. And that includes children playing in schools. 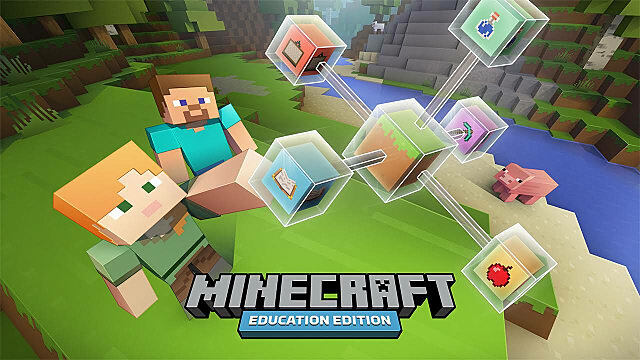 Released on November 21, 2016, Minecraft Education Edition went live as a classroom-friendly adaptation for teachers to use with their students. 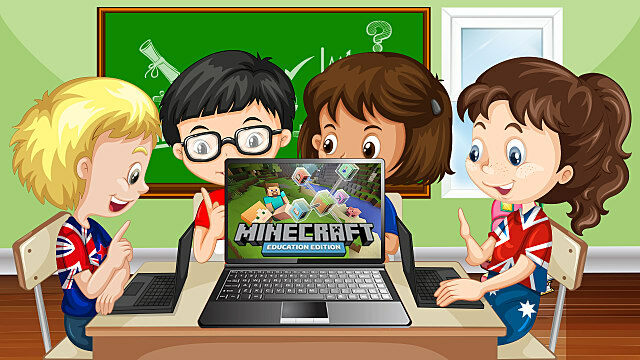 Based on Minecraft Pocket Edition and featuring multiple tweaks (so teachers can institute additional rules and boundaries), Minecraft Education Edition can be employed by schools for only $5 a year, and it features not only pre-made lesson plans, but also custom plans uploaded by other teachers. 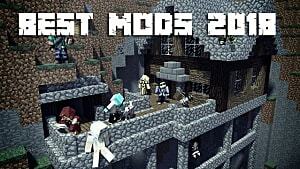 Why has so much work been put into getting Minecraft into classrooms Because it works. 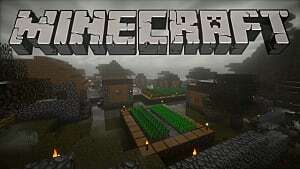 Studies have found that video games can be beneficial to a child's development, and Minecraft, with its focus on resource gathering and structure building, is particularly suited for making a child think in ways they hadn't before -- in essence, it expands their minds. The game helps develop visuospatial reasoning -- visual perception of objects -- and can change the way children view the world around them. 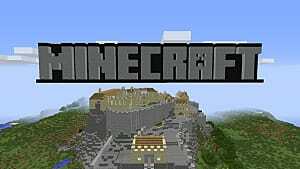 The diverse biomes found in Minecraft contain everything from mountains to trees to volcanoes. On top of that, flora and fauna range from flowers to mushrooms and cacti, cows, pigs, and a dozen other objects children will grow to recognize. 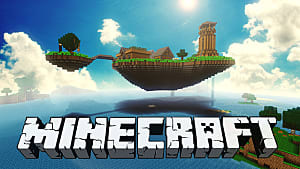 Minecraft's emulation of the world as abstract items improves not only the ability to relate appearance to function, but also relate that to imagination. And that imagination feeds creativity; a requirement for nearly every field in the real world. Creativity grows alongside intelligence, rounding out thinking and planning, and it leads to a healthy mind. Studies have found it is imperative for children to have creative outlets that enhance learning, and Minecraft is a fantastic alternative to more traditional methods. Physical activities such as sports are often derided for economic reasons and the serious health issues they present. 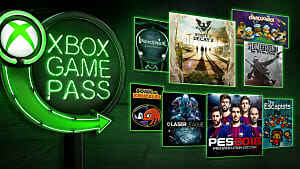 However, they are continually praised for their social and problem-solving benefits. Having children work together on teams emulates what they will face as adults, and it is a crucial skill for them to cultivate at an early age. But not everyone can play sports. This is especially true for children with medical issues, ones who can't easily leave home, or those who can't do so without assistance. 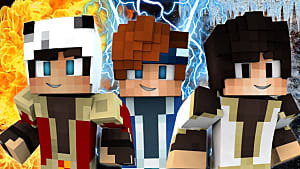 Instead, Minecraft provides not only an outlet for creative expansion and fun, but an outlet that also provides social growth through Minecraft's collaborative exploration and construction tools. 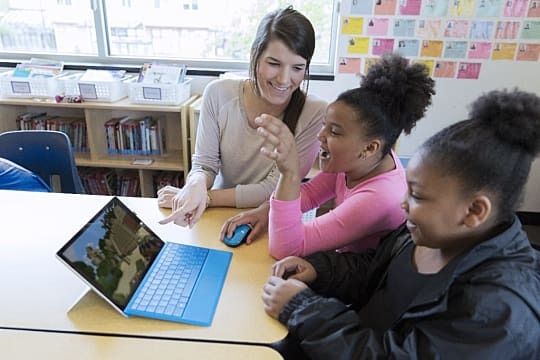 What's more, Minecraft's collaboration tools also lead to team problem solving, where children and students can work together, delegating tasks based on ability. They can also play toward their mental strengths, while also identifying their weaknesses -- or areas of improvement. Teachers can monitor play and then work toward directing children and students toward more focused curricula, or studies that improve areas of deficiency. 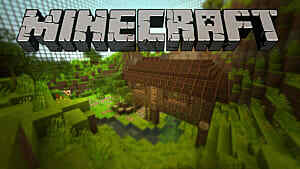 For example, math is often the most dreaded subject in school -- and Minecraft heavily requires it. If the lesson calls for building a 4x4 house, it's up to students to do the arithmetic themselves, finding how many blocks they will need to build the house. They'll then need to add a roof, a floor, a window, and a door. After they're done, they will have done multiplication, addition, and subtraction -- on top of properly building a small house. Extrapolate that scenario to something larger and more complicated, and the students not only face a more comprehensive challenge, but also a bigger payoff when they finish the problem set -- a beautiful home. By gathering the required resources, doing the math, and working together as a team, problem-solving, and building, students can grow myriad skills by using Minecraft as a learning tool. 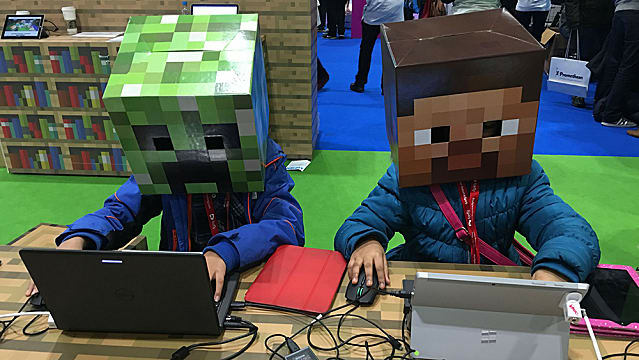 From math to science, critical problem-solving, and teamwork, students playing Minecraft are engaged in their own education. If you're interested in getting Minecraft Education Edition fori your school, you can find the requirements here.